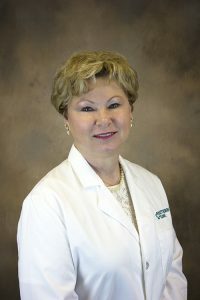 Mary S. Watkins, CNP, is a certified nurse practitioner at Hattiesburg Clinic Lumberton Family Medicine. She received a Master of Science in Nursing and a Bachelor of Science in Nursing from The University of Southern Mississippi in Hattiesburg, Miss. Ms. Watkins is board certified as a family nurse practitioner by the American Nurses Credentialing Center. She is a member of the American Association of Nurse Practitioners and the Mississippi Nurses Association. At Lumberton Family Medicine, Ms. Watkins provides comprehensive holistic patient-focused care. She seeks to serve as an advocate for her patients by staying abreast of the most current treatment modalities.